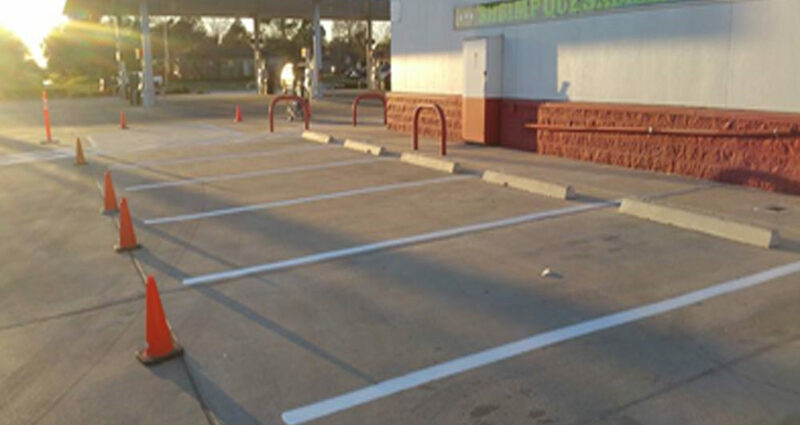 Why should we re-stripe our lot? 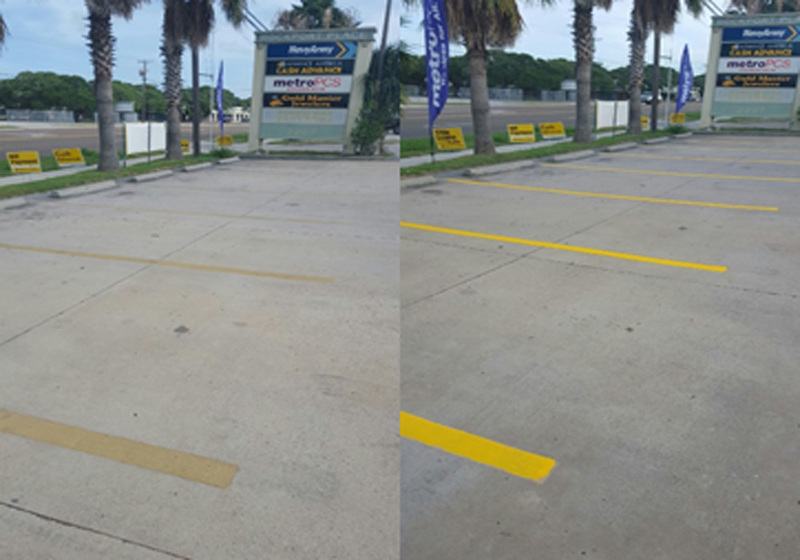 The effects of gasoline, oil, rust, traffic, and water will deteriorate your parking lot lines over time. 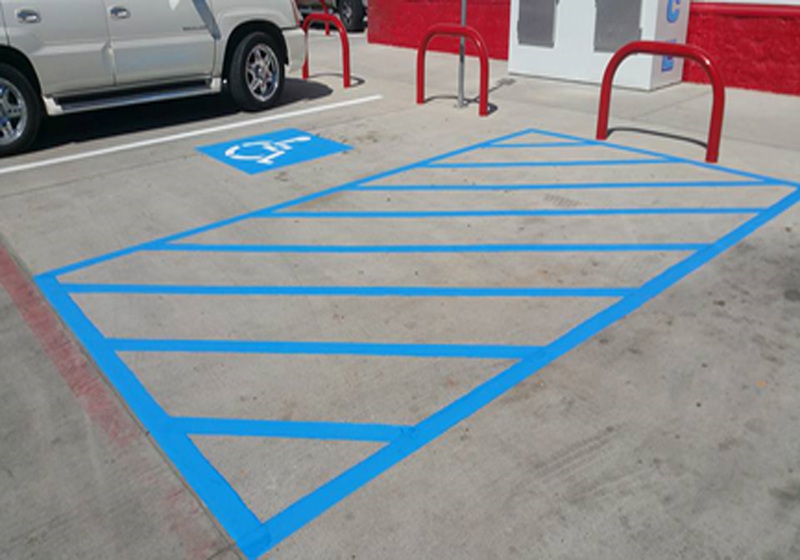 Re-striping regularly will keep your parking area(s) both attractive and safe for your clients. Our paint dries within 30 minutes. 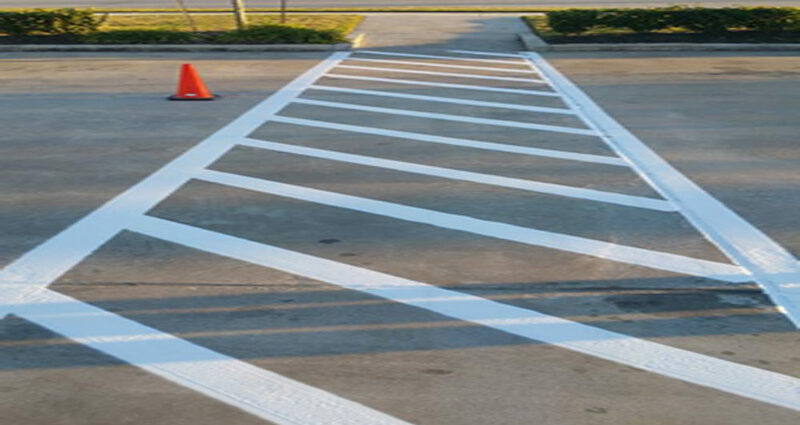 Our crews are trained in traffic flow management, OSHA certified and understand that access to your business is crucial. 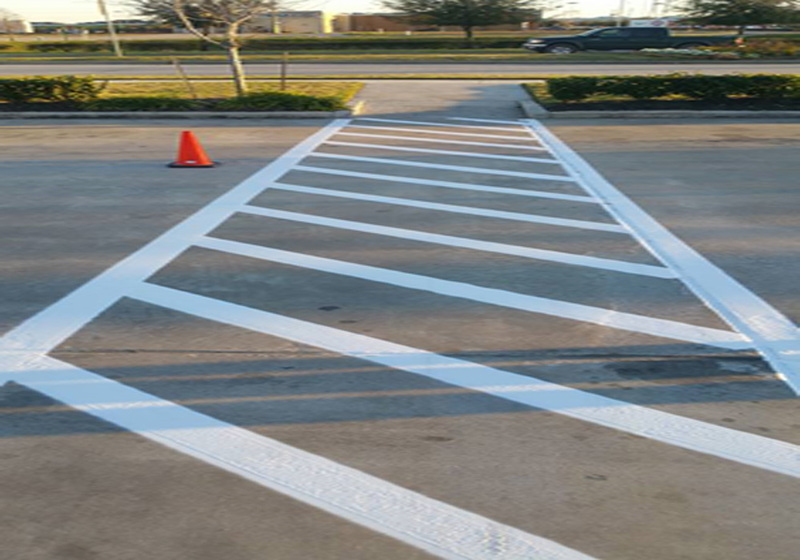 Striping will occur before or after business hours, unless stated otherwise. What if I want to change my existing parking lot layout? 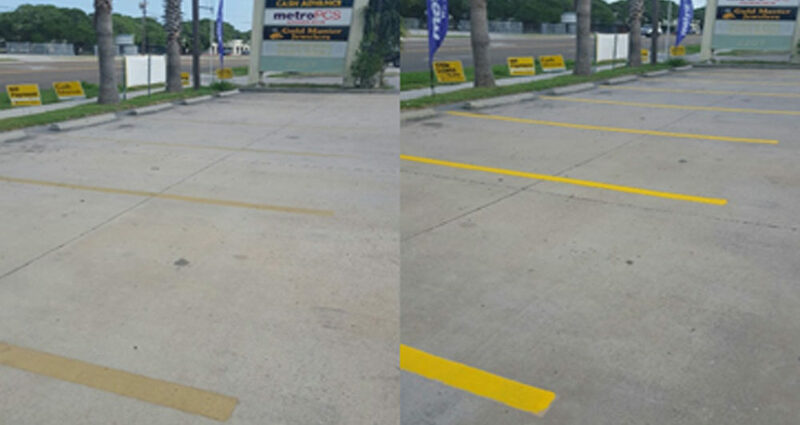 Phoenix Clean can both modify and completely redesign your parking area. 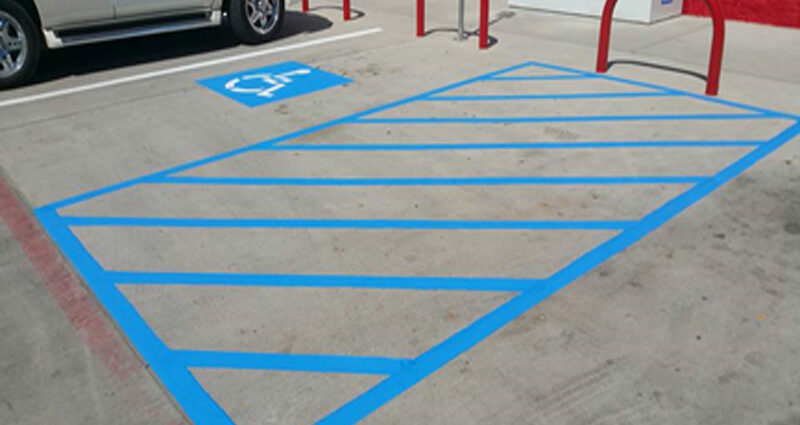 Stripes can be ground off, painted over, painted a different color, etc. 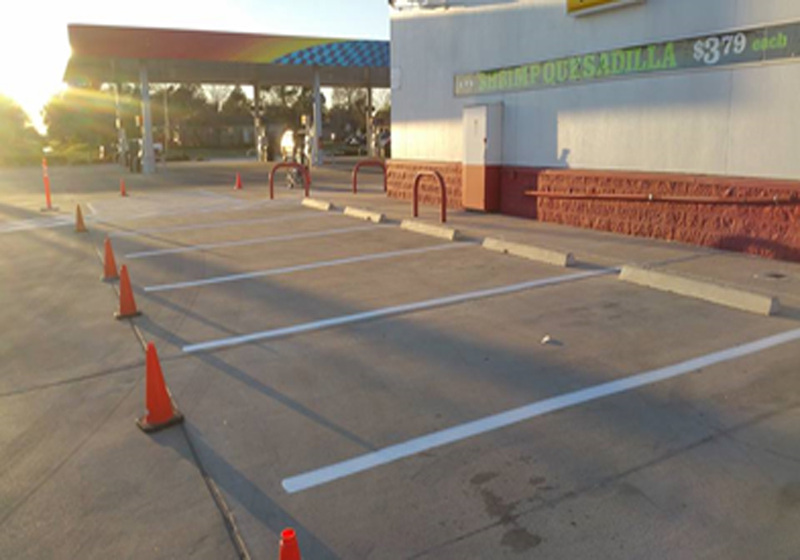 Existing lines can be painted over or ground off, the sealer applied, and new striping completed.